University of Stirling Mathematics student Marc Austin will head down under next month after qualifying for his second successive ITU World Junior Triathlon Championships. The 18-year-old from Scotstoun booked his place in the two-man GE Great Britain triathlon team to race in New Zealand following a podium finish in Portugal at the weekend. Austin finished just five second behind fellow Brit Gordon Benson in the blazing Aveiro sun, completing the consecutive 750m swim, 20km cycle and 5km run in 56 minutes and 51 seconds. He will now join Benson for the junior – age 17 to 19 – finals, to be held in Auckland on 20 and 21 October. It will be Austin’s second experience of this level of competition, having made the 2011 Championships in Beijing. “I came back from China feeling I could have done a bit better so I’m really looking forward to having another shot.” said Austin, who is both a University sports scholar and supported by national scholarships Winning Students. Austin trains with the triathlonscotland national development squad - which includes a further seven Stirling students - training together on campus at Scotland’s University for Sporting Excellence. In China, the British squad included London 2012 Olympic gold medallist Alastair Brownlee and his bronze medal-winning brother Jonathan, who were there to compete in the World Triathlon Series Grand Final. And having also been in the grandstand cheering them across the finish line in Hyde Park, Austin has had plenty opportunity to pick up some tips. He added: “It was inspiring to watch them and it spurs all British triathletes on to follow in their footsteps. They are so focused and if they are nervous before a race, it certainly doesn’t show. In Portugal, another two Mathematics students, Grant Sheldon and Cameron Milne, were eighth and 22nd respectively. 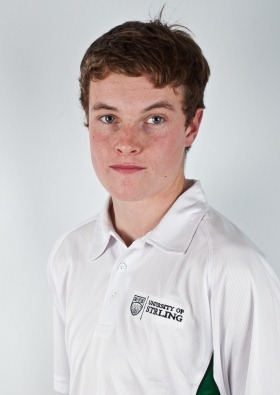 Stirling Accountancy graduate David McNamee will also be competing in Auckland in the men’s senior event. McNamee, originally from Irvine, is currently sitting 24th in the overall World Triathlon Series rankings and enjoyed a top 10 finish in Kitzbuehel.